The newly established Trewithen Fund, managed by The Cornwall Community Foundation (CFF), offers support to community projects who provide help to young people, often disaffected or disengaged, who are not achieving their full potential. Research commissioned by CCF, Cornwall’s Vital Signs, demonstrated a need in Cornwall to support young people who have difficulty flourishing in the mainstream education system. The report also highlighted that 99,235 in Cornwall, 22% of the working population, have no qualifications at all. The Trewithen Fund is keen to fund projects who work with young people to break down the barriers some experience, building confidence and resilience and developing vital employability skills. Example projects previously funded by CCF, include Carefree Cornwall who work with young people across Cornwall, ages 11-25, who are in and leaving care. Carefree Cornwall has a strong focus on peer mentoring to transform lives and employability skills. 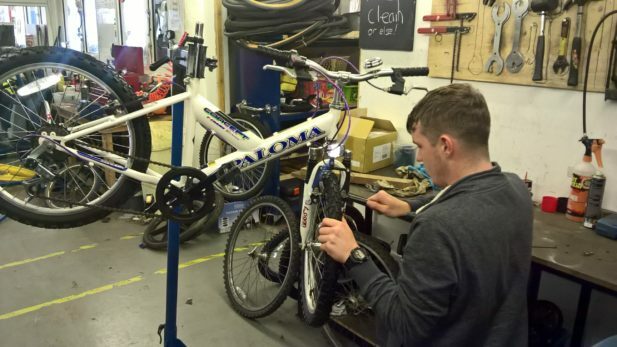 Cornwall Life Recycle, based in Camborne, restores donated bicycles. Participants work one to one with a volunteer who teaches them the skills required to complete the restoration. Cornwall Life Recycle works with young people with mental health difficulties or backgrounds, as well as young people at risk of being excluded from school.